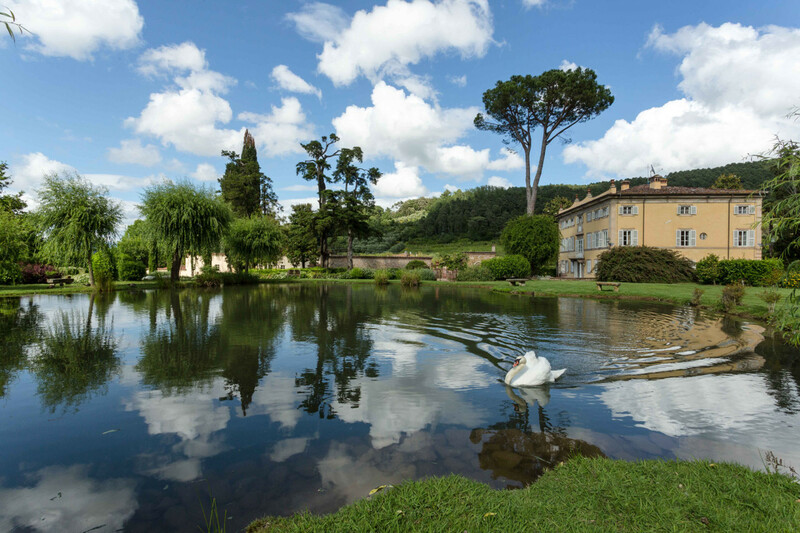 Majestic frescoed rooms combine with modern conveniences immersed in a vast parkland with pool and private pond with graceful swans. Our guests will profit from 2 huge alfresco dining areas and a jasmine gazebo. Enjoy the fancy indoors facilities: majestic living rooms, 2 fully equipped kitchens, various leisure rooms with piano & foosball,a majestic hot-tub. 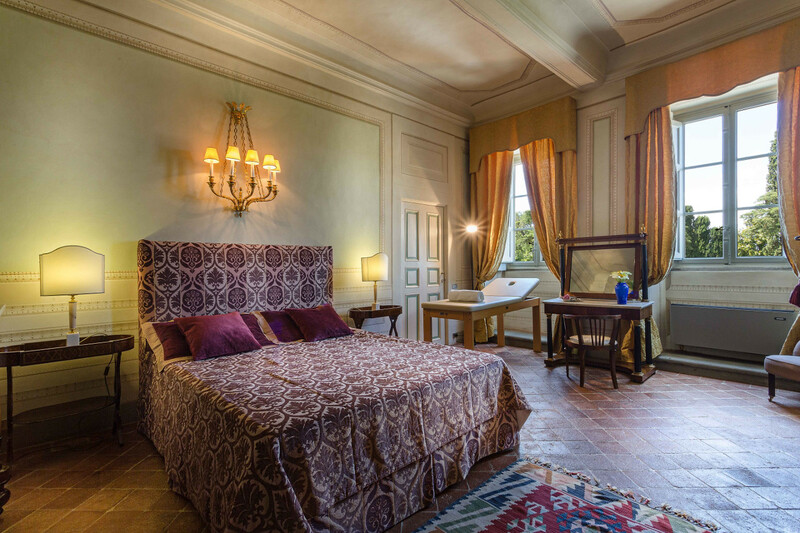 The Villa offers 7 elegant bedrooms with bathroom ensuite. The reservation includes personal chef, maid service, airconditioning and wifi. 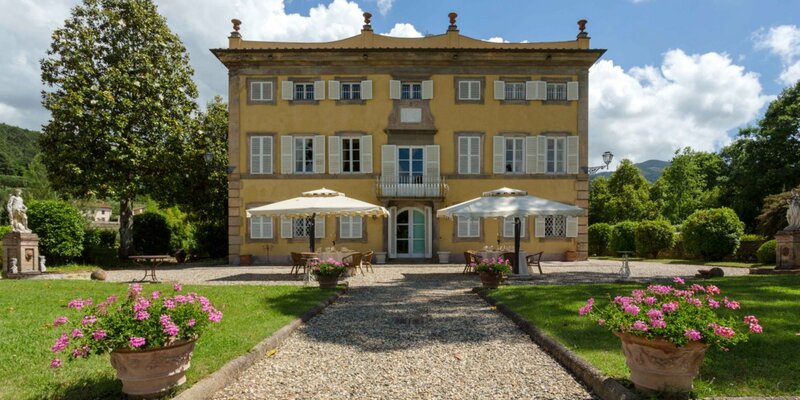 Originally built in 1624 this magnificent Villa was the summer residence of the Count Cosimo Bernardini, a family who has played a key role in the administration of the Republic of Lucca for centuries. 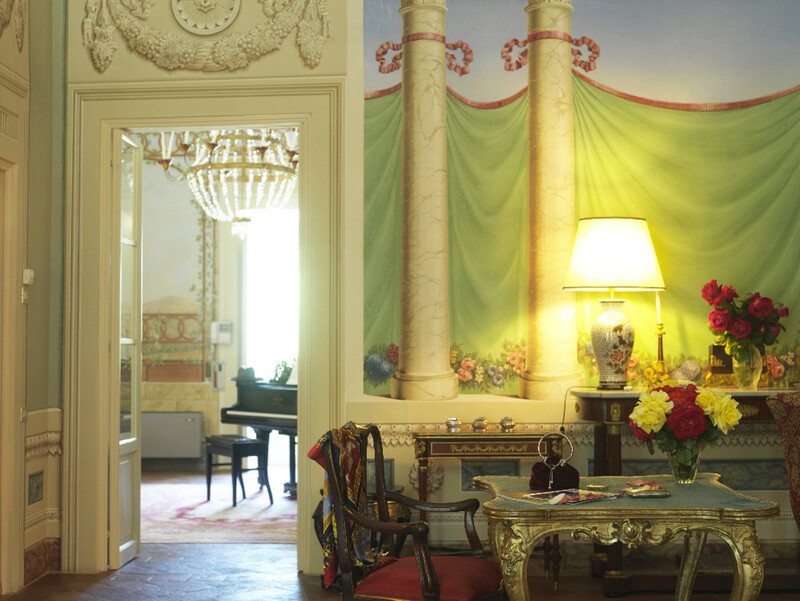 Wonderful antiques, majestic frescoed rooms combine with modern conveniences to create an exclusive and elegant atmosphere. 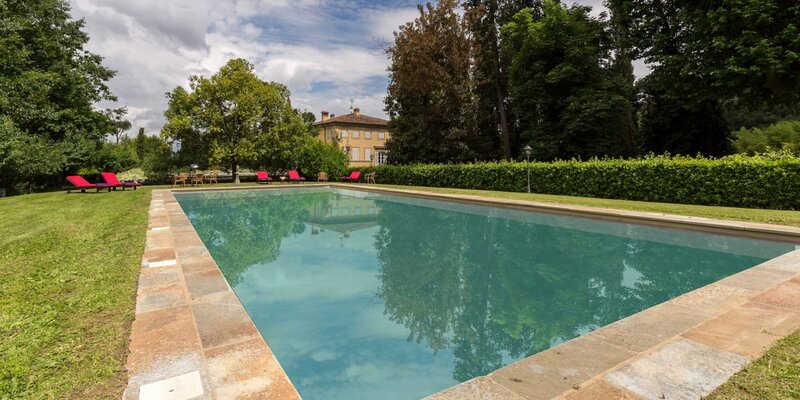 Immersed in a vast parkland with old-centuries trees and 2 private ponds with graceful swans, this Villa has a beautiful private pool (10X20) and a relax area. 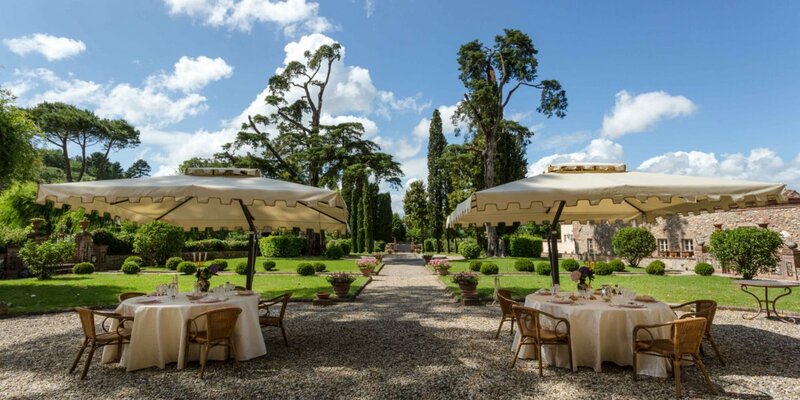 Our guests will profit from two impressive alfresco dining areas: one in front of the Villa, its majestic facade and lovely private lake; another in the Italian garden in the backyard overlooking the surrounding area. 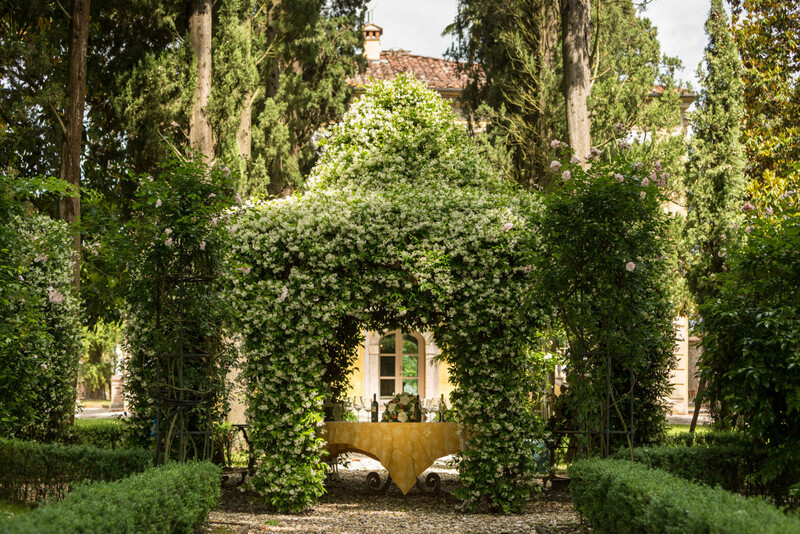 The jasmine gazebo with a table and some chairs, is the perfect to enjoy a refreshing aperitif. 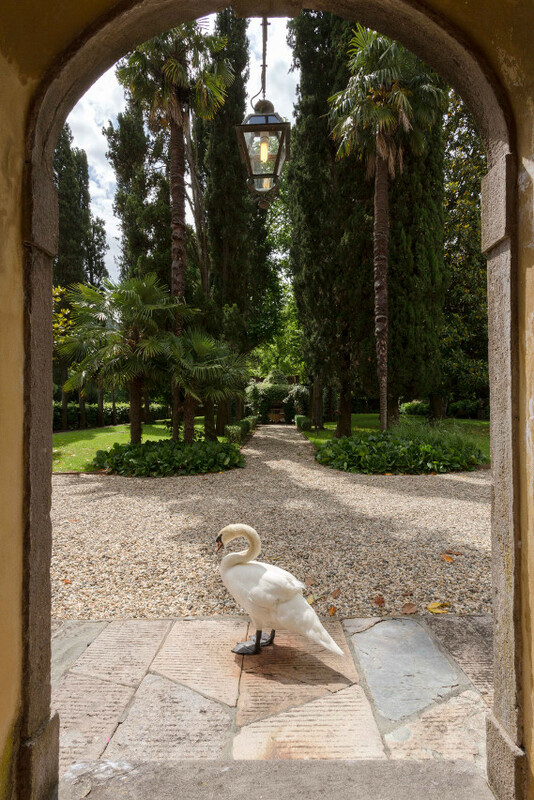 First floor: The ‘Piano nobile’ of the Villa offers beautiful frescoed rooms and a big majestic lounge area with breathtaking views over the Italian garden, the backyard of the Villa and surrounding olive groves. A small kitchenette for the staff, perfect to prepare appetizers or a refreshing drink to be enjoyed in the frescoed lounge area. 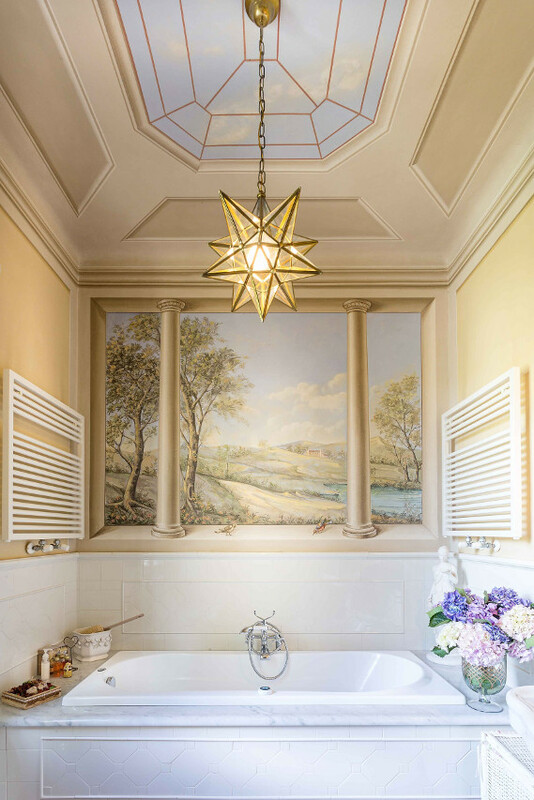 On the floor there is a music room with a grand piano and a beautiful glimpse of the pond; a majestic bathtub with a Jacuzzi. 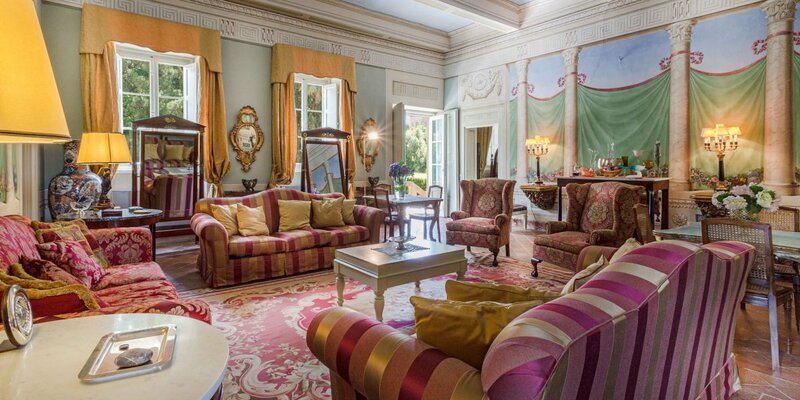 This floor offers three luxury bedrooms with en-suite bathrooms and shower. Two of them share a spacious walk-in closet. Second floor: A lovely and bright attic with original wooden beamed ceilings and a beautiful view over the garden and pool. This floor has a living room with tv, a rest room and four magnificent double bedrooms with en-suite bathrooms and shower. 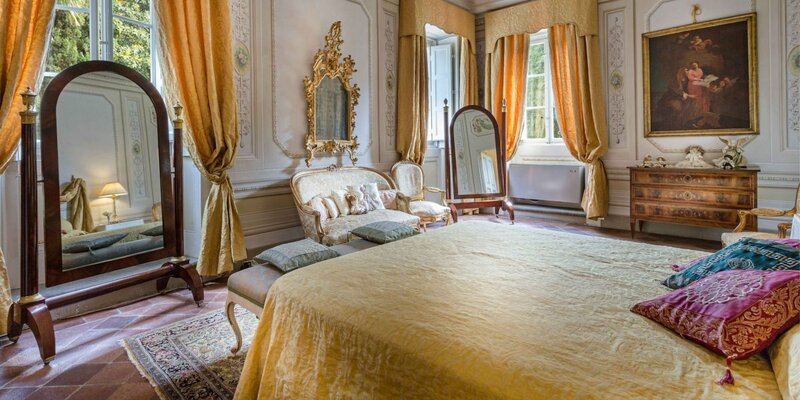 One bedroom as twin beds, one a king size bed and one has a double french size bed. 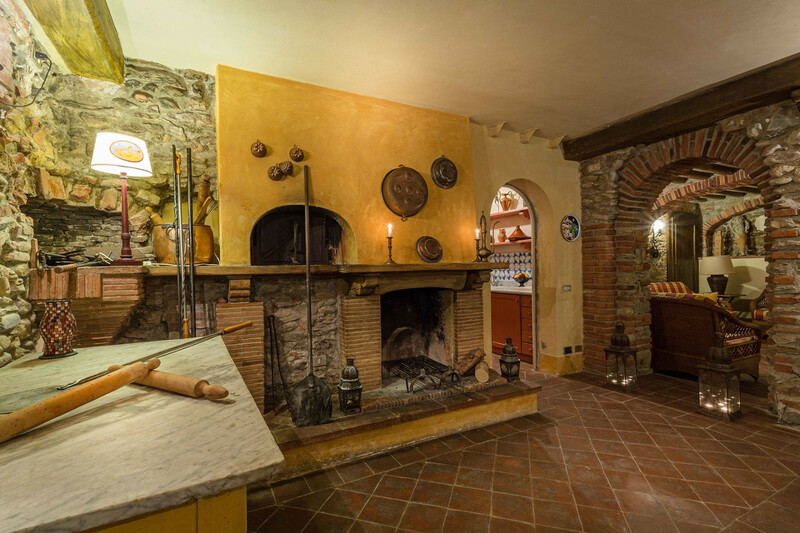 The cellar: features a typical Tuscan fully equipped kitchen with a mixer and a wood burning oven perfect to prepare fragrant pizzas. On request, at extra charge it is possible to book cooking lessons. The cellar is the ideal place to spend time together in the comfortable sofas and tables, while playing board games and foosball. A truly Italian evening atmosphere with Pizza and foosball! At the floor there is also a laundry room with washer, dryer, iron and ironing board. This Villa perfectly fits the needs of a big family or a group of friends but can be also rented for wedding ceremonies and other social events. Equipped with all modern comforts, our guests will benefit from: air conditioning, heating, wifi, sat-tv, DVD player. Baby cot is available at extra fee of 122 euro per week. 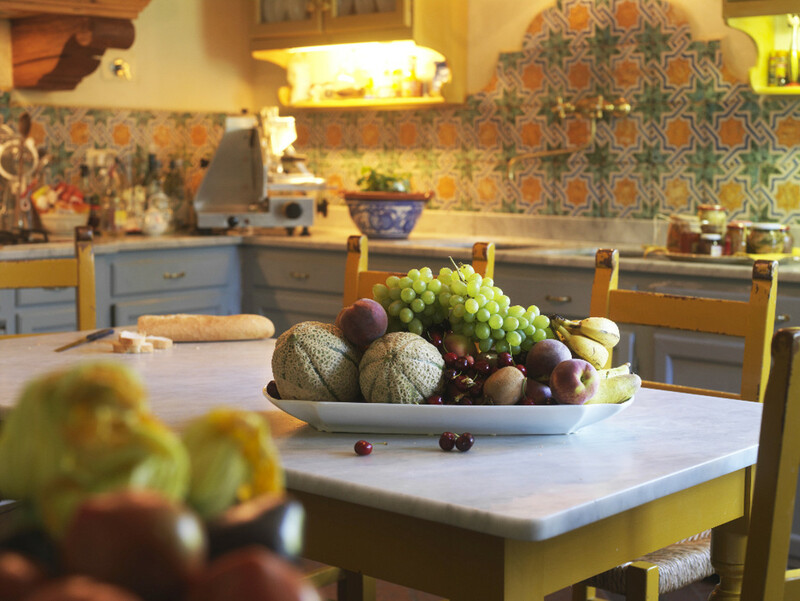 Also, the villa features a modern laundry room with washer and dryer and a fully equipped kitchen with toaster, mixer, wood-fired oven, microwave, dishwasher. Your reservation includes a full staff with complimentary chef service and housekeeping (6 days a week). More exactly: a personal Chef is at your disposal for preparation of breakfast and one meal (lunch or dinner) 6 days a week(Wednesday day off). Cost of groceries not included. Customers will be charged 12 euro per breakfast per person and 40 euro per meat meal or 45 euro per fish meal per person to cover thecost of food and beverages. Your reservation includes also a welcome drinks with some local appetizers, concierge service on call on site, Gardener & Pool attendant,pool towels, baby equipment (baby crib, high chair). The consumption of the electricity and airconditioning is included in the rental rate up to 2000KW; over this amount clients will be charged accordingly to usage. It’s difficult to reach this limit if the airconditioning/electricity are used in a reasonable way. 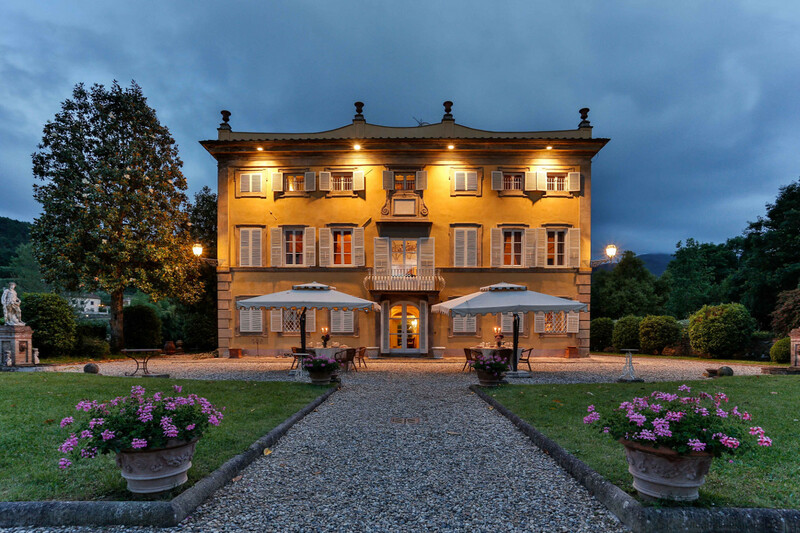 The Villa is located in the famous area of Coselli: a gracious small village at the foot of the Mount Pisano, which separates Lucca from Pisa. 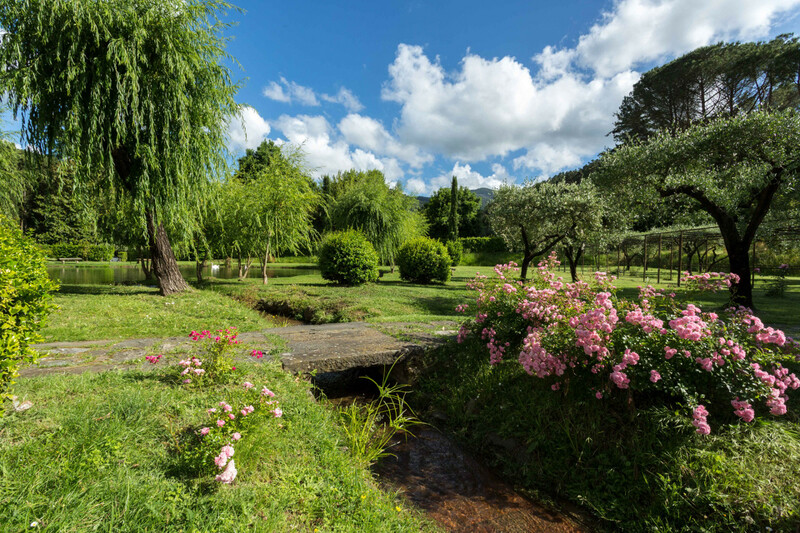 A place rich in history and beautiful nature: small streams, breath-taking landscapes and amazing panoramas. 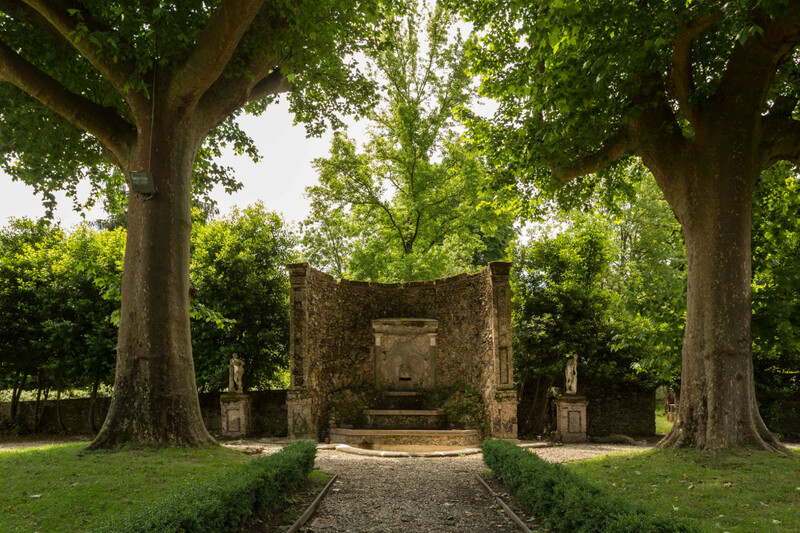 This particular area of Lucca countryside offers many kind of outdoor activities: hiking (Pizzorne and Mount Pisano), tours of the historical Villas (Villa Bernardini, Villa Buonvisi etc. ), fitness trails (Marlia), nature reserves (Gherardesca lake, WWF Bottaccio oasis), termal baths (San Giuliano Terme). Horseback riding lovers will be delighted to enjoy a ride in the wild, just a 10 minutes drive away, in a beautiful horse farm. For tennis players, an exclusive Tennis Club is just a 5 minute drive away. A relaxing but also entertaining vacation in a landscape full of history. The historic centre of Lucca is just 8 km away, a town famous for its medieval walls, also known as the town of the 100 Churches. A hidden gem where time seems to stand still: small typical shops with local products and groceries. At the same time the town hosts annual events famous all over Europe: the Music Summer Festival (July), Lucca Comics & Games annual comic book and gaming convention (the 3rd biggest in the world). Pisa airport and its historic centre are only 22 km away, Florence and Siena only 1 hour drive away. The vast, sandy and world-famous Versilia coastline is just a 20 minutes drive away, the area is famous for the top quality restaurants, amusing nightlife and various designer boutiques.